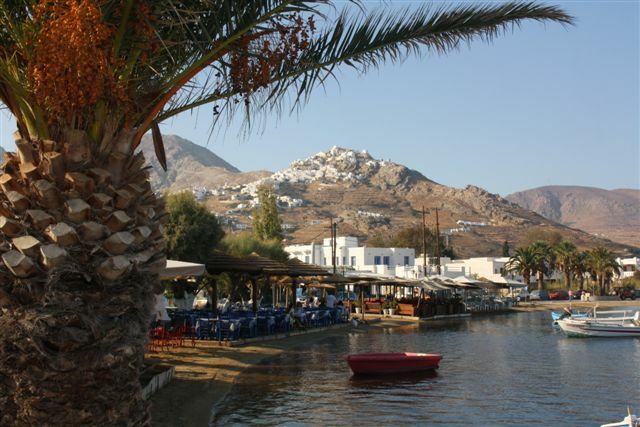 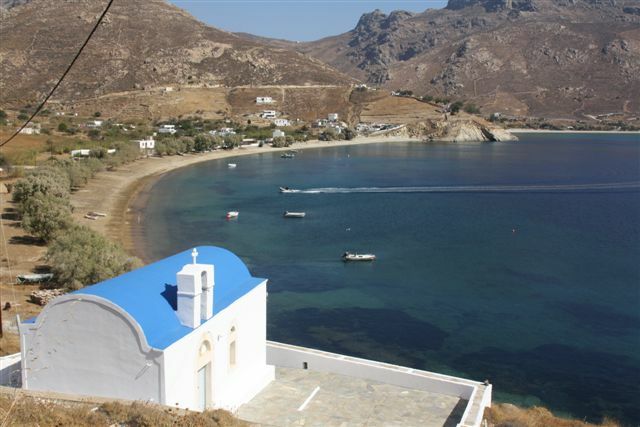 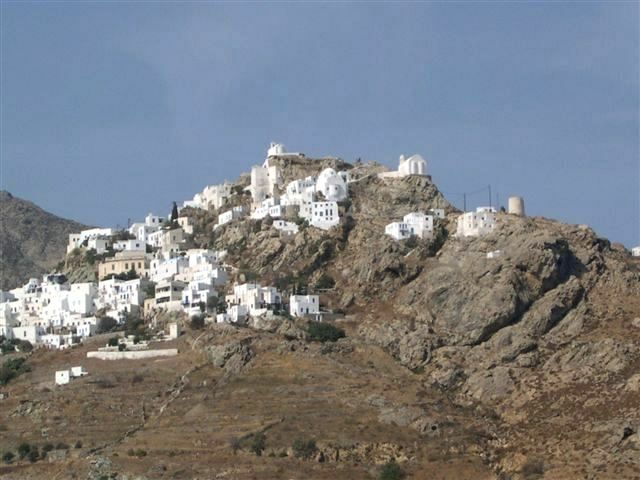 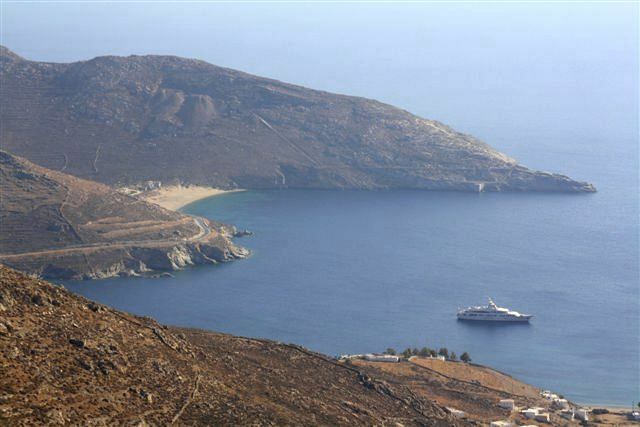 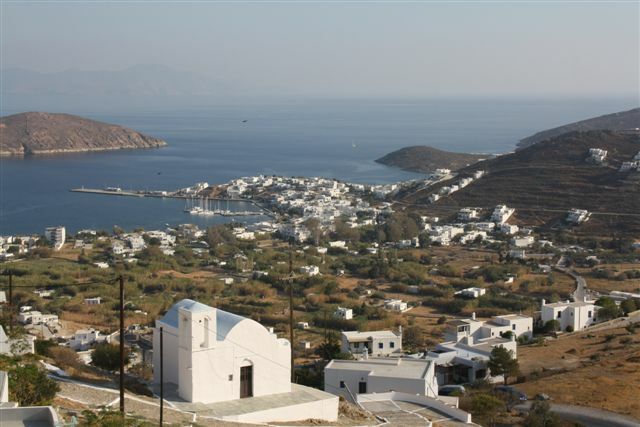 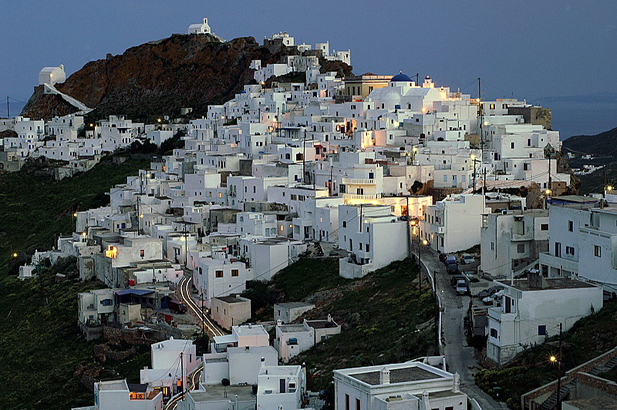 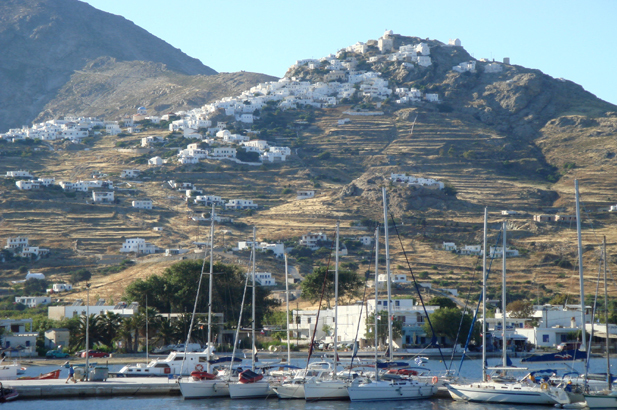 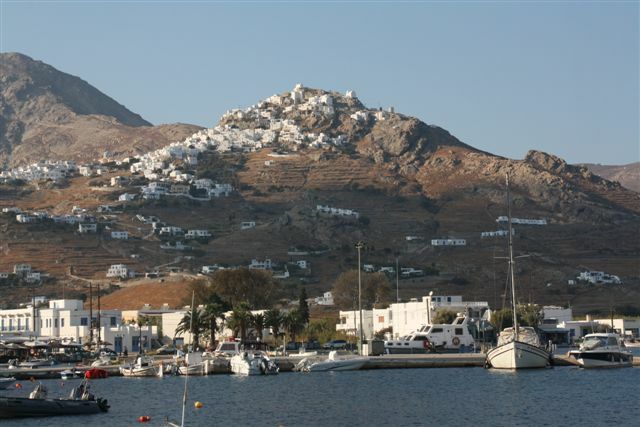 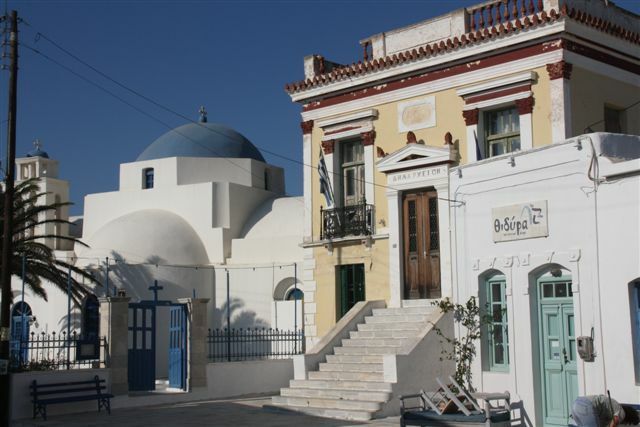 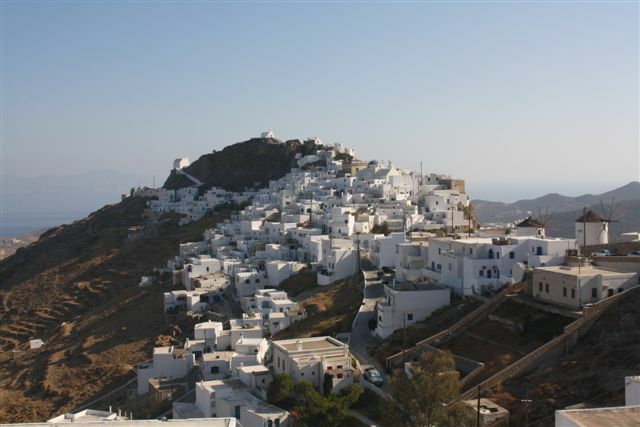 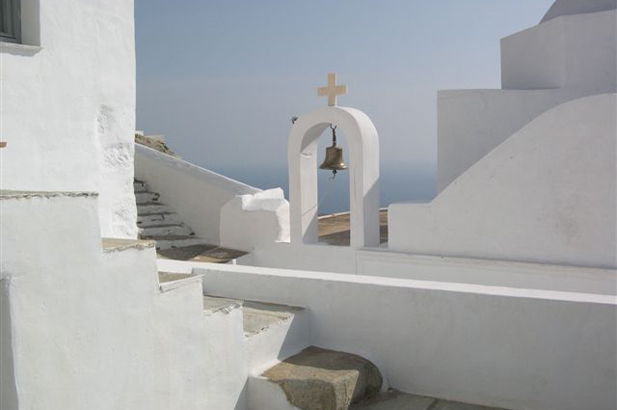 If you are looking for the quintessential authentic Greek island to fall in love with, Serifos could be it. 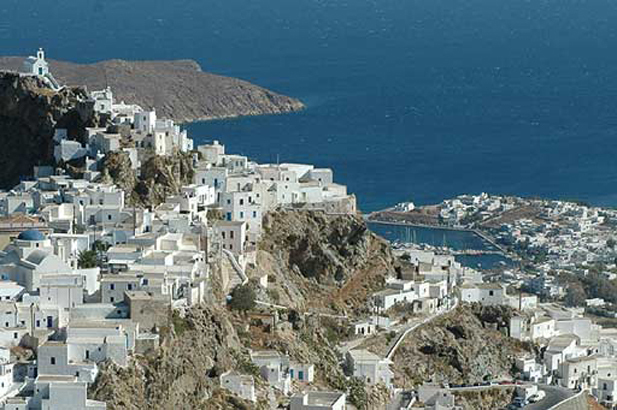 Its wild, barren and mountainous landscape, small lush valleys and whitewashed houses nestled between steep rocky slopes and hills. 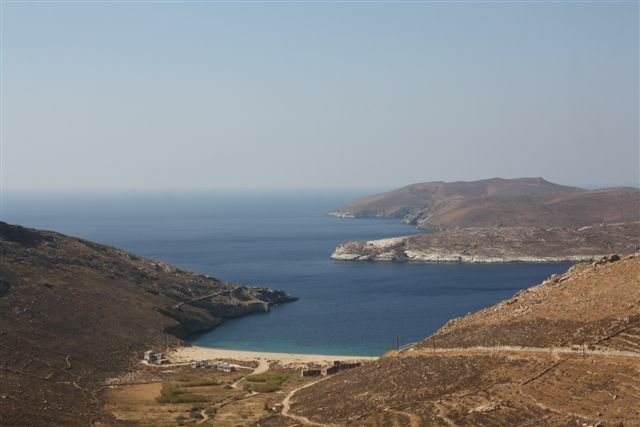 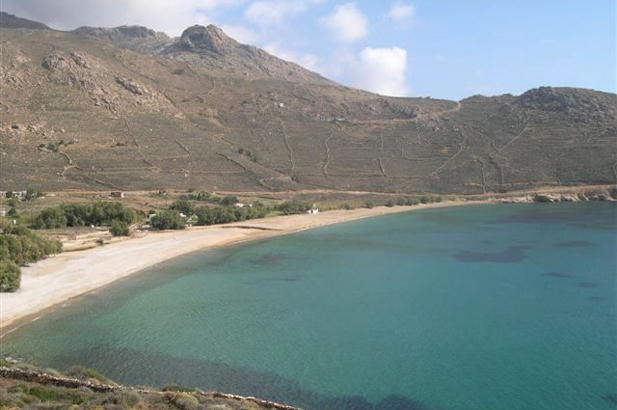 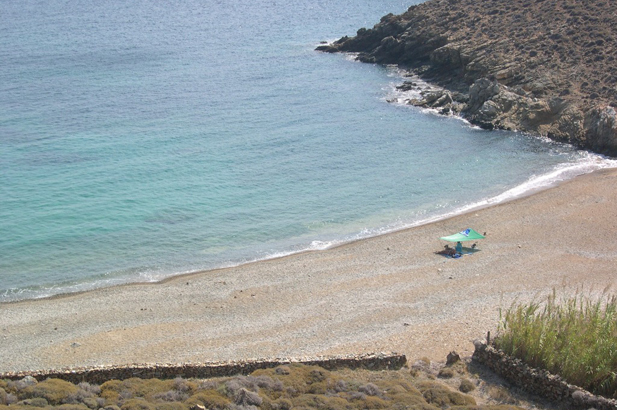 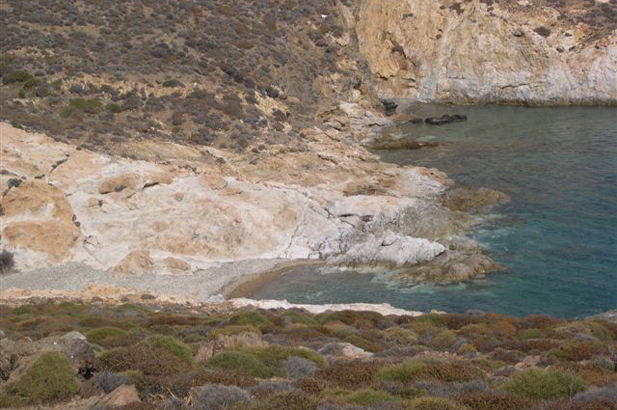 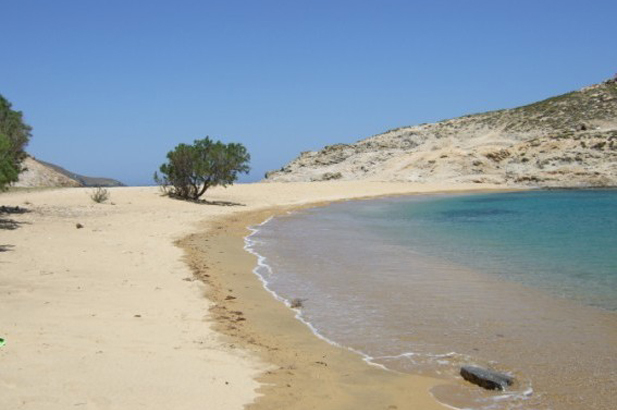 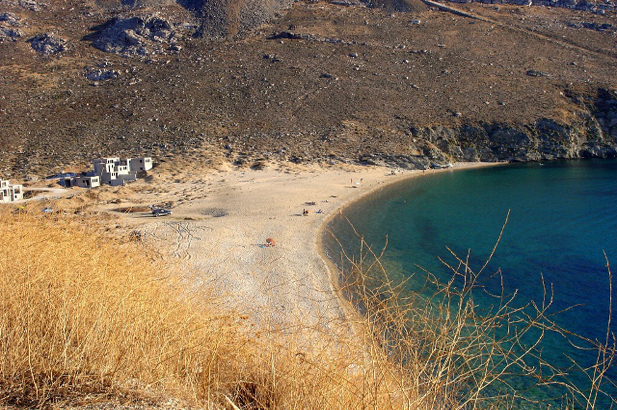 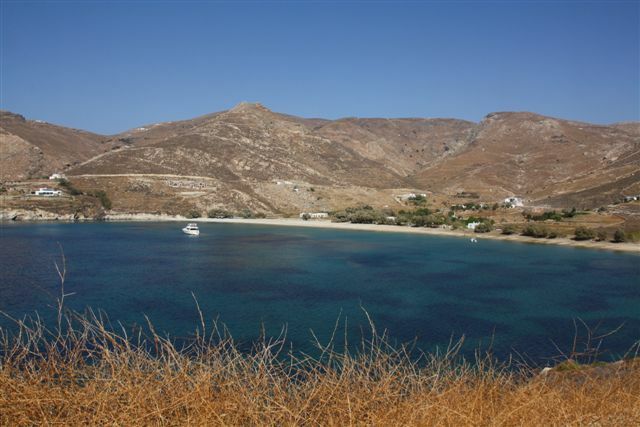 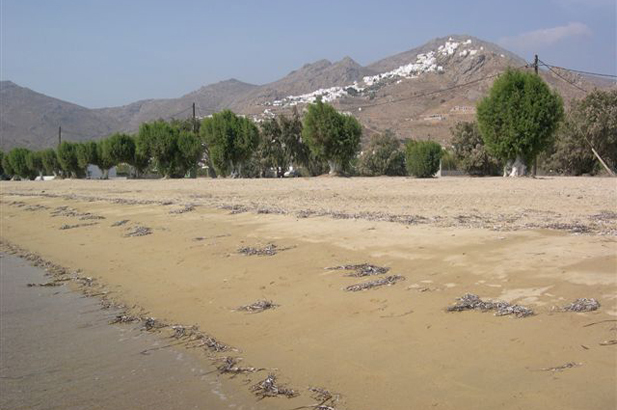 Its perfect sandy beaches and brilliant blue waters hold a simplicity that is still hard to find in the Cyclades. 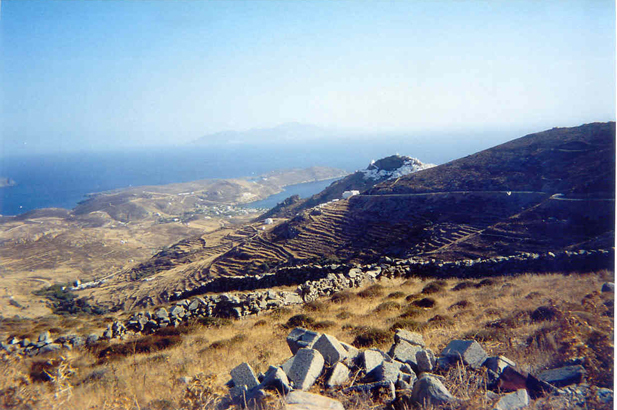 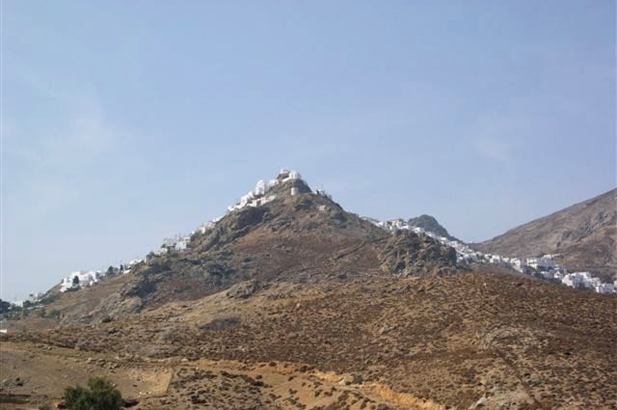 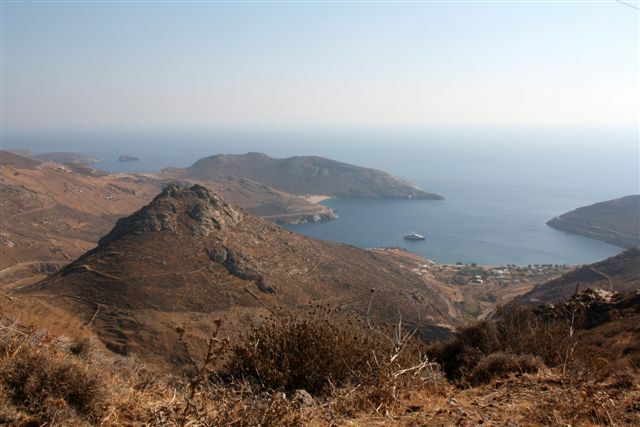 Serifos was the island where Perseus, in Hermes’ winged shoes and Athena’s cloak of invisibility, chopped off the Gorgon Medusa’s head and turned his enemies to stone with it, saving Andromeda from the dragon on the way. 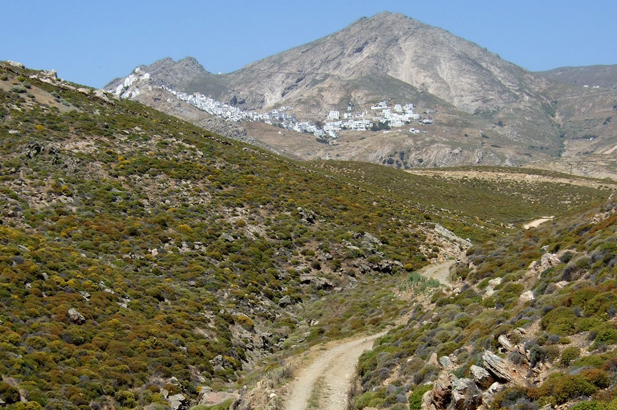 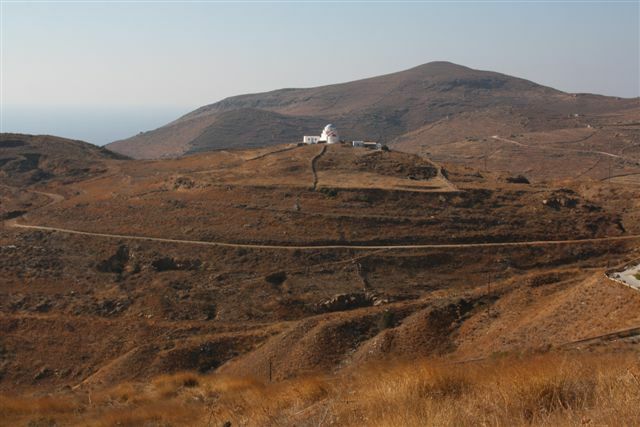 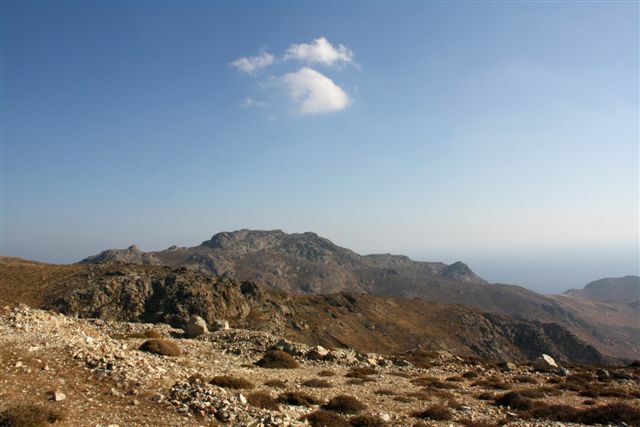 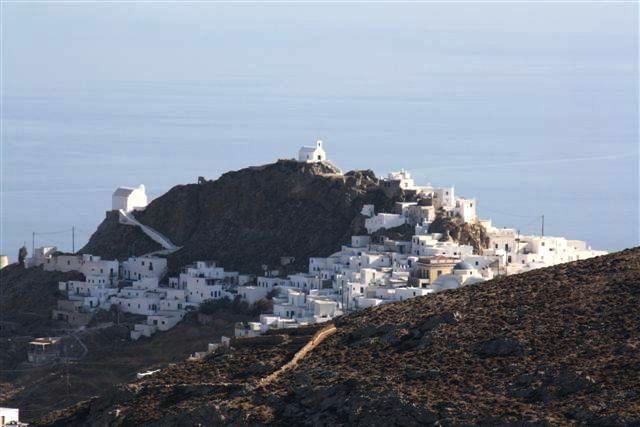 Serifos is the perfect setting for this drama – its stony barren mountains and cliffs are among Greece’s most dramatic landscapes, and the emptiness of the island still echoes around the rocks and churning surf. 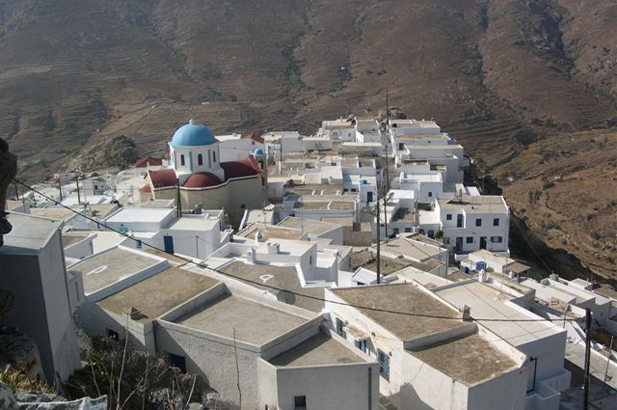 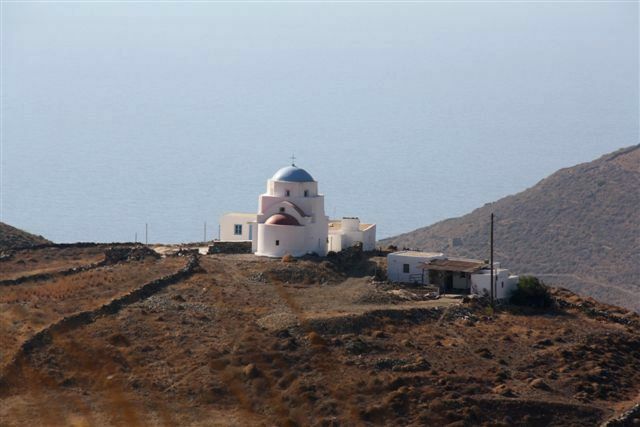 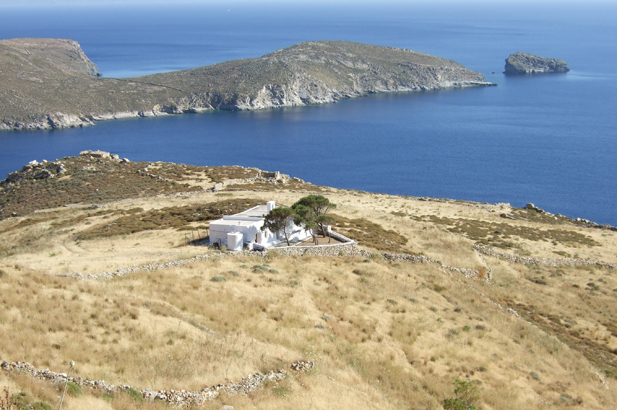 While neighbouring Sifnos offers gently fertile terraces and consciously preserved traditions, Serifos has remained its charming, simple, slightly eccentric self. 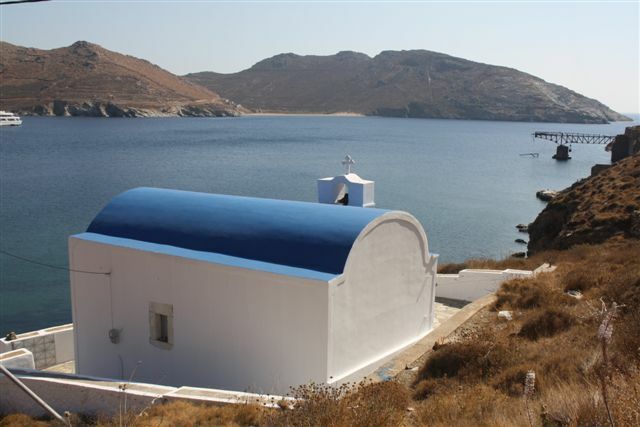 Small boats can be hired, scuba diving is offered by a small dive shop, and the beaches of the east coast have dazzling white pebbles and sand, with peacock blue water – toilet cleaner blue as one guest put it! 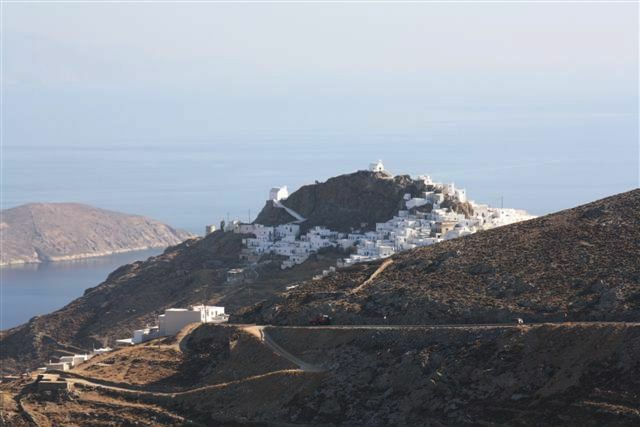 In the windswept north of the island, the Monastery of the Archangels appears at first sight to be a fortress. 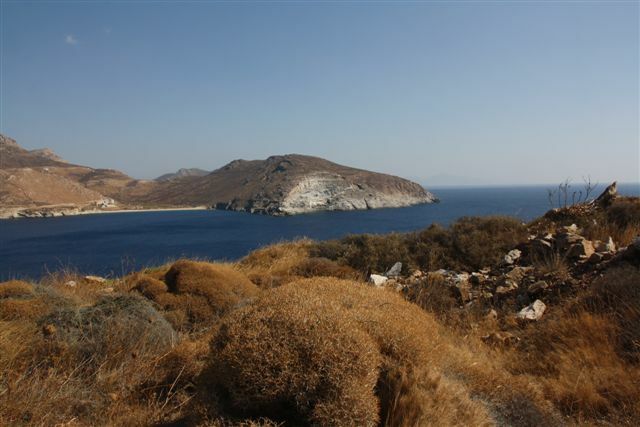 Trees around are wind-bent into shapes hugging the land. 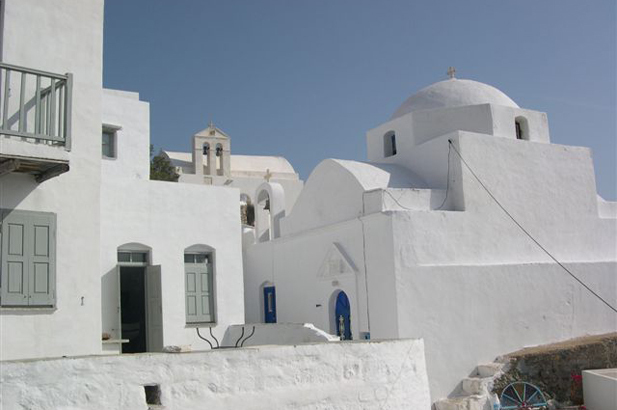 Inside, however, is a treasure of reflected light, sugar-white stairways and domes, rich Byzantine manuscripts and icons and a sole occupier – the jolly and welcoming Abbott Makarios. 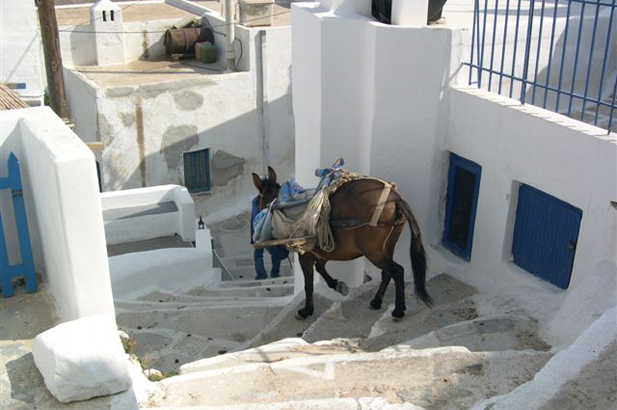 Outside the walls are his well-tended vegetable patches and his friend – and means of transport – his donkey. 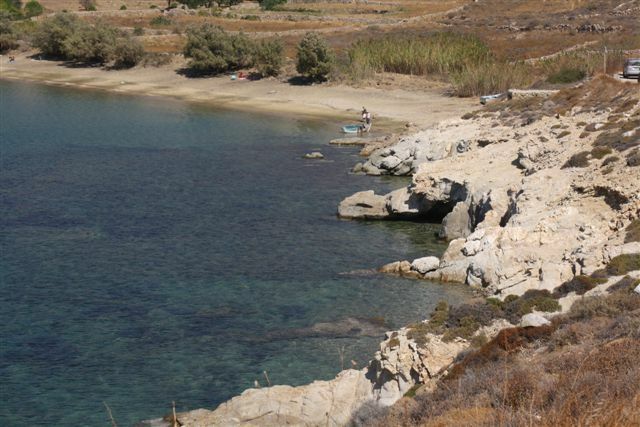 Deep cut ravines with oleanders and olives, feeding on underground rivers, sometimes give surface to frog and terrapin filled pools. 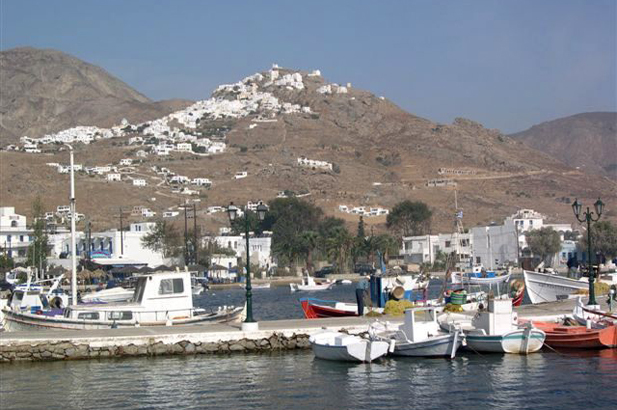 Indeed, the frog was the motif on the island’s silver coins in antiquity. 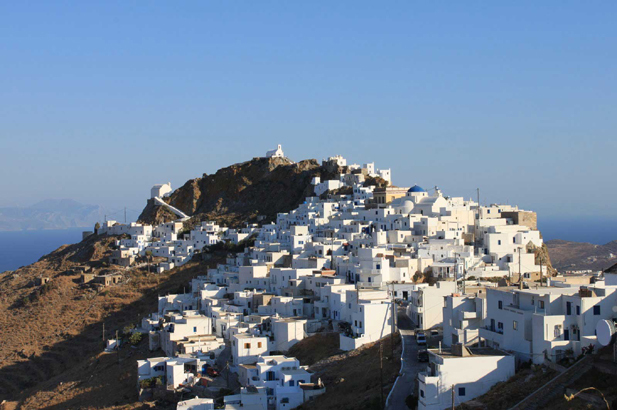 Rocky-sited, ravishing Chora with its sugar-cube houses, steep, stepped lanes and breathtaking views from its conical mountain top is a wonderful expedition. 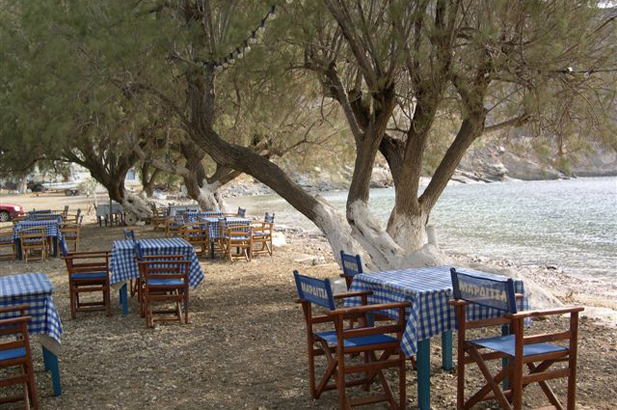 Eat in O Petros there. 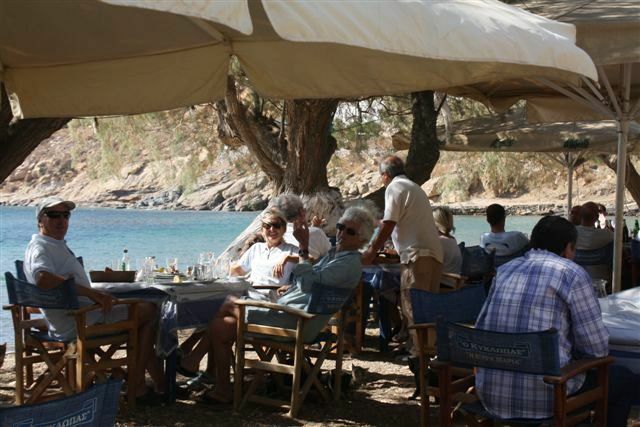 The charming port of Livadi has a hip waterside bar, the Yacht Club. 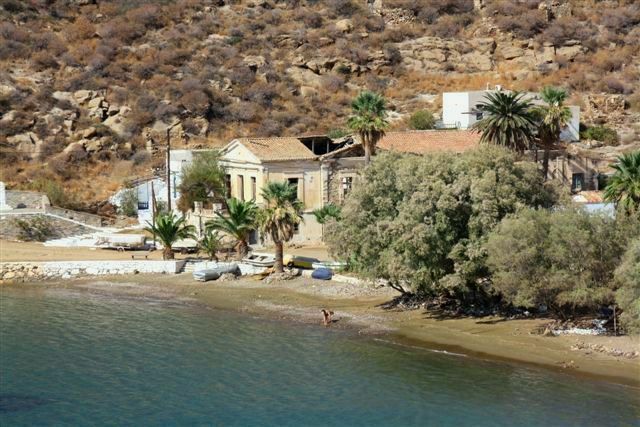 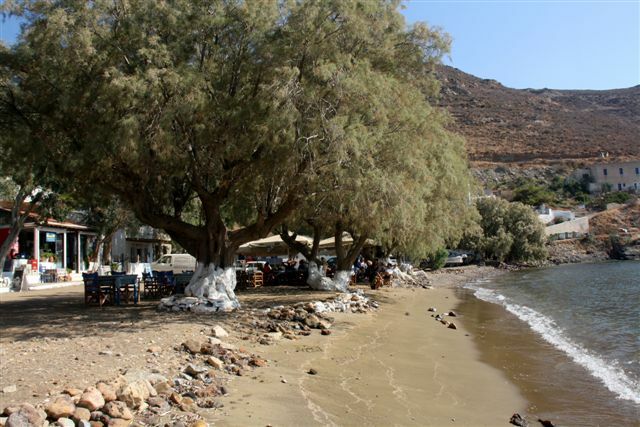 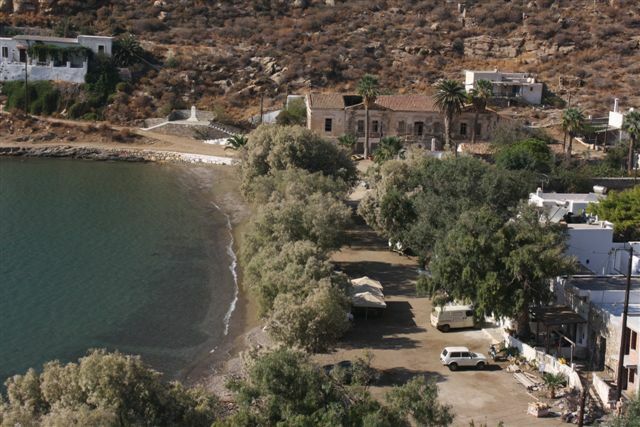 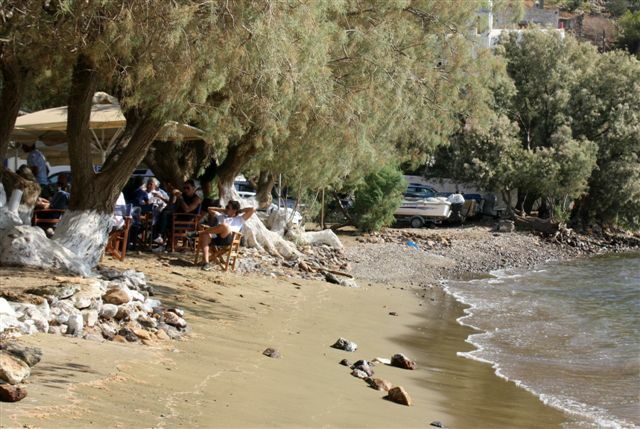 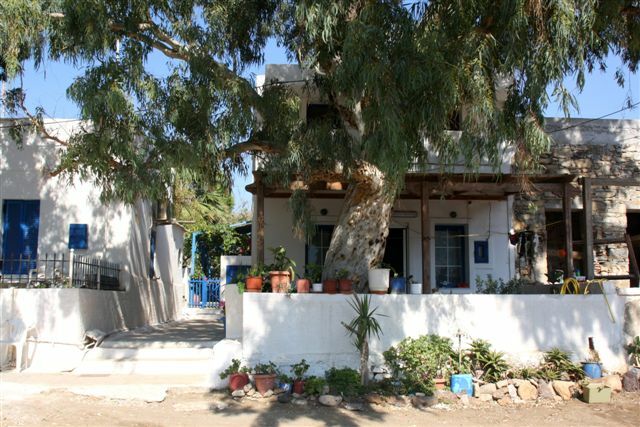 You can also eat in the shade of the pepper trees at a lovely beach side taverna in Kako Livadi. 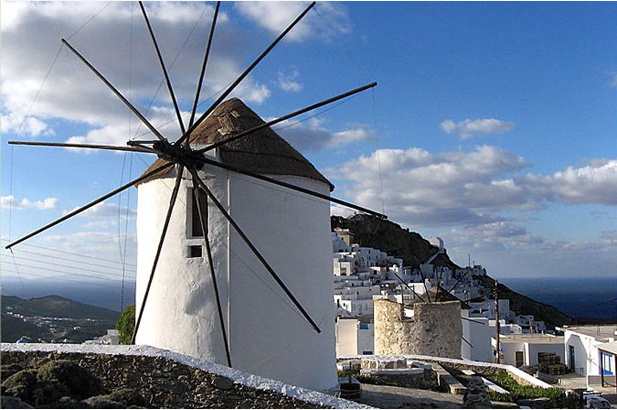 Otherwise there is very little to spend your money on, and you can leave your high heels and credit cards at home. 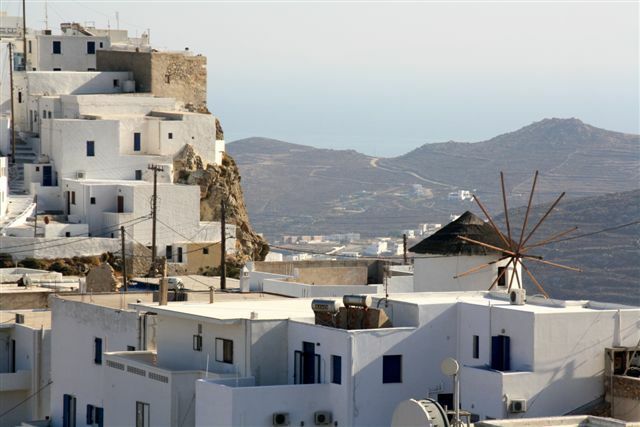 Undeveloped beaches, dramatic landscapes, simplicity, the famed blue and white colour scheme, a laid-back atmosphere and the serenity of a carefree summer island life. 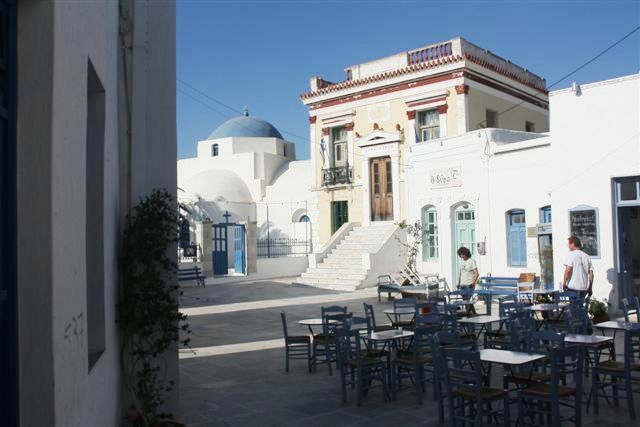 Shopping, dining, clubbing and telecommunications (the outdoor internet café is a great social centre). 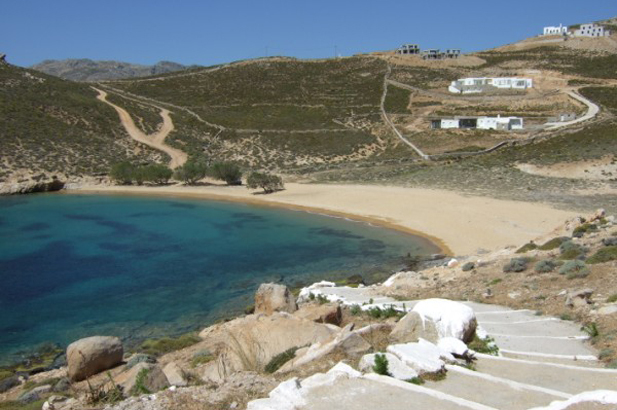 Those with teenagers eager to escape their parents, and young groups wanting glamour and a party atmosphere. 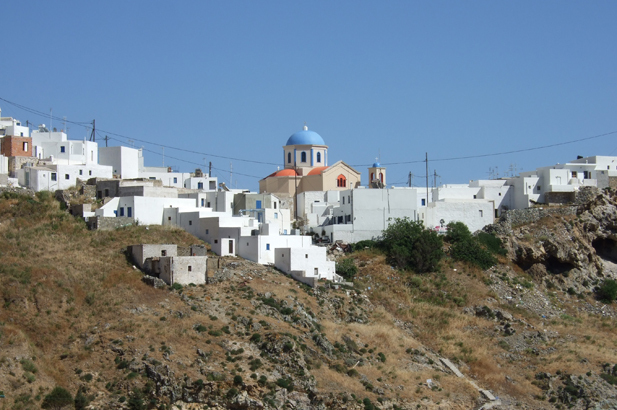 The medieval capital of Chora atop its conical hill. 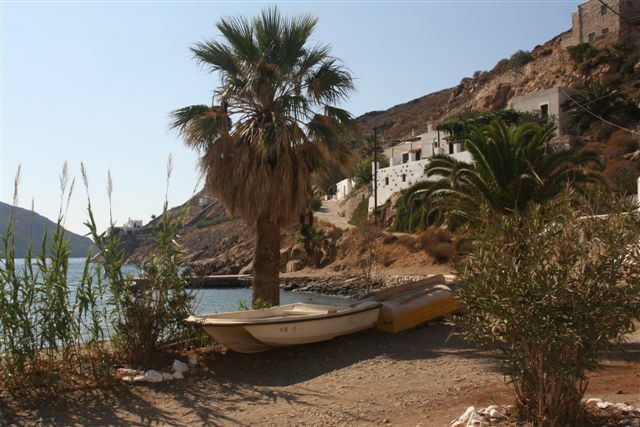 Scuba diving, small boat hire, scooter hire, beachcombing, swimming. 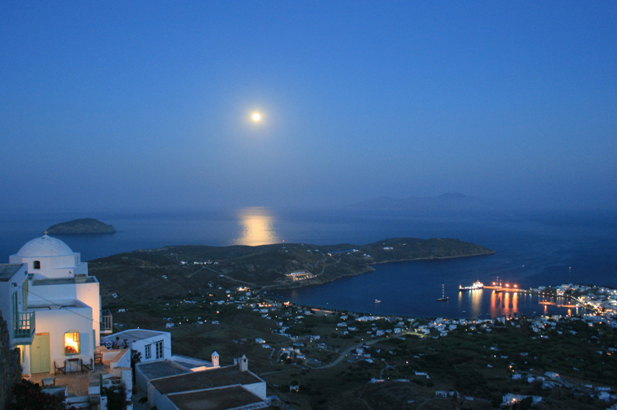 August gets full even here. 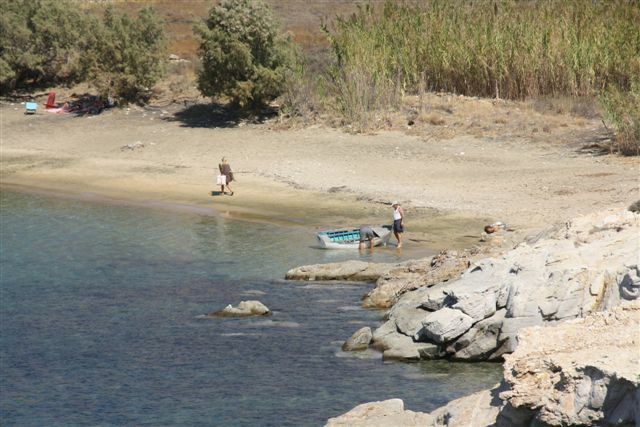 You must have your own resources to entertain yourself!